The 1st OSD Training Workshop in Greece took place on June, 1st of 2018 at CTI premises in Athens. Nine teachers from intercultural schools and NGOs joined the workshop. It was a very constructive seminar and participants were very satisfied at the end of it. The majority of participants has participated in the focus group on February and was aware of the project. The first part of the workshop was a brief description of the project and presentation of the results of literature review and focus groups across Europe. 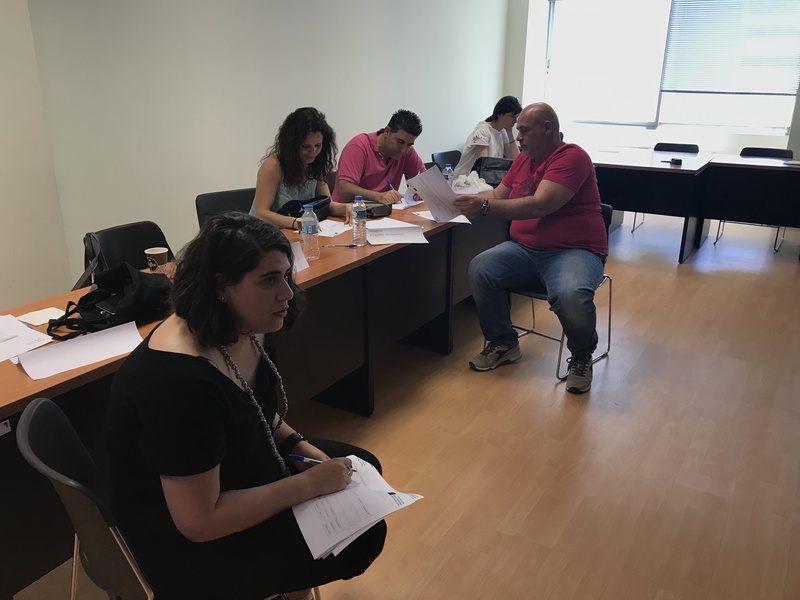 Mrs Evangelia Boufardea, from CTI “Diophantus”, introduced participants in the OSD philosophy and aims presenting the project and the recommendations for the schools/school leaders/teachers according to user needs’ analysis report. Afterwards, Mrs Anna Zoakou, from Ellinogermaniki Agogi, presented the online Open School Doors Training Programme. She explained the content of each section and how could they could go through it; the main idea was to provide an overview of the training materials, in a brief but yet quite detailed manner, with the view to familiarizing participants with its rationale and didactic potential. 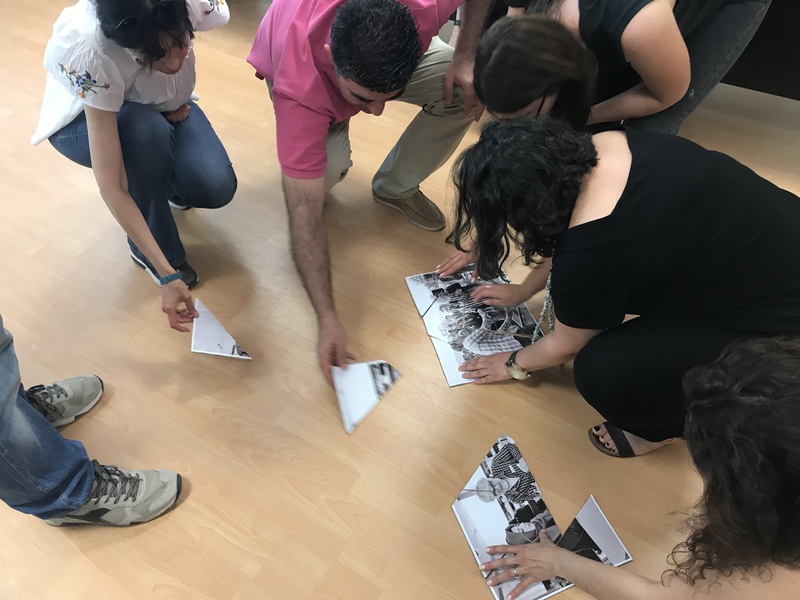 The next step was to engage participants to make an artifact which represented how they perceive the parental engagement with newly arrived people in their school. The participants desired to be in one team and cooperated and made a really interesting construction. They presented their artifact and the idea was very intriguing and inspiring despite the simplicity of the construction. The second part of the workshop was totally hands on and for this reason very interesting for the participants. 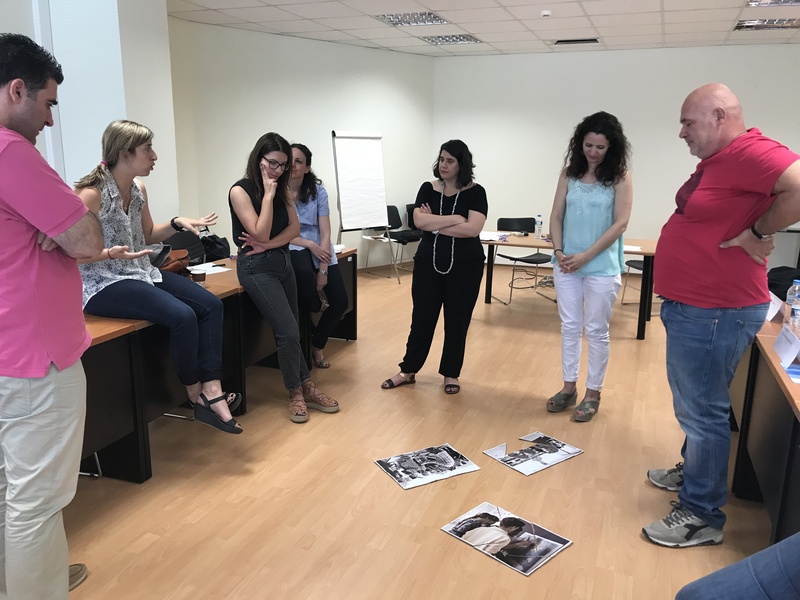 Mrs Aliki Giannakopoulou, from Ellinogermaniki Agogi, involved participants in a series of activities in order to show them, that there are several ways to approach people who do not speak the same language with you. 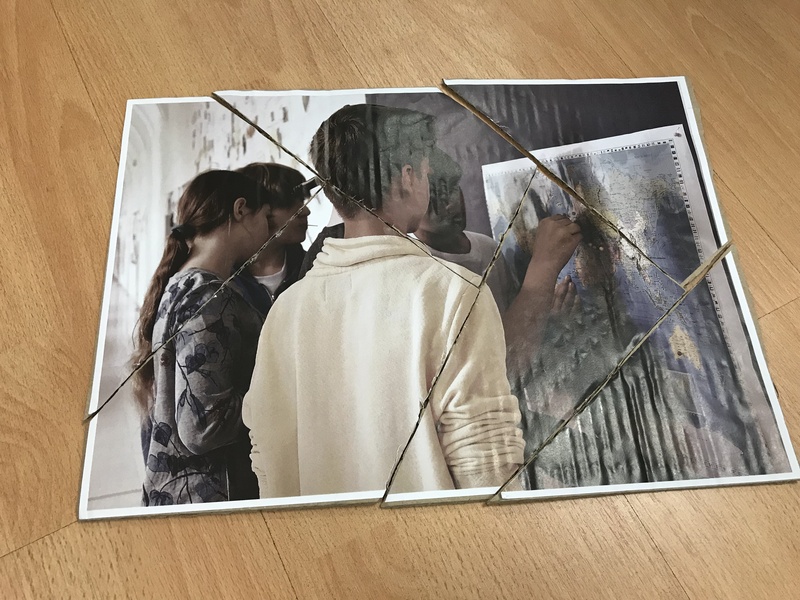 Two activities took place a) Puzzle and b) Multisensory experience. 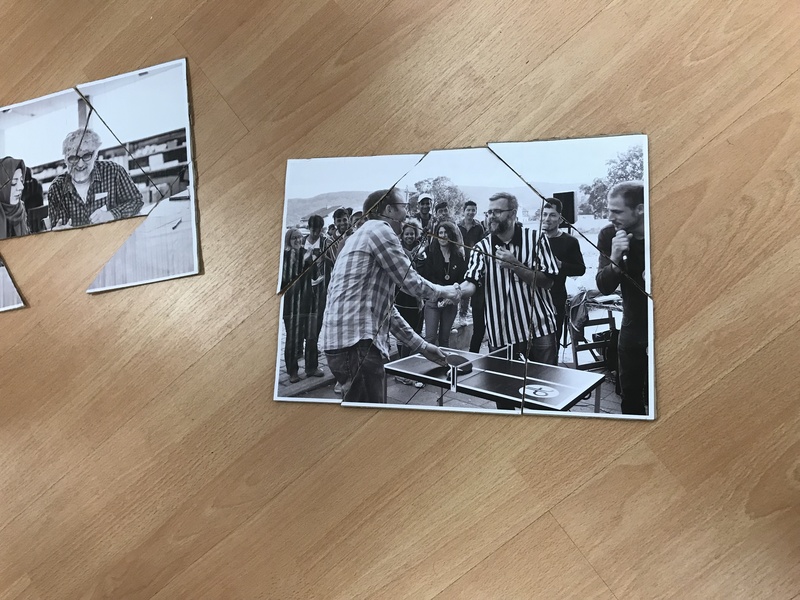 Both activities intrigued participants and they felt excited. Participants’ feedback was very positive for the workshop and they are looking forward more inspiring activities from us for applying them in the next school year in their school. Here you can see the video where participants explain their construction (the video is temporarily available only in Greek).